The Michigan Institute for Computational Discovery and Engineering Fall 2014 Research Computing Symposium featured leaders in research computing, as well as preeminent University of Michigan scientists engaged in computationally intensive research. The symposium took place Nov. 6, in the Rackham Building, and was the continuation of Cyberinfrastructure (CI) Days, which has been held at U-M since 2010. The event also included a poster session, with a $500 first-place prize and three $250 honorable mention prizes, as voted on by attendees. Bio: NCSA director Edward Seidel is a distinguished researcher in high-performance computing and relativity and astrophysics with an outstanding track record as an administrator. In addition to leading NCSA, he is also a Founder Professor in the University of Illinois Department of Physics and a professor in the Department of Astronomy. 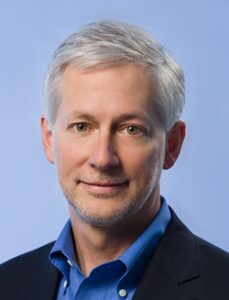 His previous leadership roles include serving as the senior vice president for research and innovation at the Skolkovo Institute of Science and Technology in Moscow, directing the Office of Cyberinfrastructure and serving as assistant director for Mathematical and Physical Sciences at the U.S. National Science Foundation, and leading the Center for Computation & Technology at Louisiana State University. He also led the numerical relativity group at the Max Planck Institute for Gravitational Physics (Albert Einstein Institute) in Germany. Seidel is a fellow of the American Physical Society and of the American Association for the Advancement of Science, as well as a member of the Institute of Electrical and Electronics Engineers and the Society for Industrial and Applied Mathematics. His research has been recognized by a number of awards, including the 2006 IEEE Sidney Fernbach Award, the 2001 Gordon Bell Prize, and 1998 Heinz-Billing-Award. He earned a master’s degree in physics at the University of Pennsylvania in 1983 and a doctorate in relativistic astrophysics at Yale University in 1988. Abstract: Europe, US, China and Japan are making large investments in the race to exascale performance; these investments, and the product roadmaps of vendors, all but guarantee that exascale performance will be achieved early in the next decade, if not sooner. However, as CMOS technology is reaching its limits, it becomes increasingly harder and more expensive to continue increasing supercomputer performance. Exascale is not the end goal of the high-performance computing enterprise. This enterprise has been a multi-decadal effort to provide increasingly powerful platforms for numerical simulation in science and engineering. Each performance improvement has led to new scientific breakthroughs and the need for continued improvements does not cease with exascale. Can we continue to satisfy this need in the coming decades? The talk will examine the implications of technology trends on the future of high-performance computing at exascale and beyond. While zettascale is a feasible goal, significant technological discontinuities seem unavoidable: Continuing the trend of performance improvement may require significant changes in underlying technologies, architectures, and software, as well as significant changes in the economic ecosystem that supports today high-performance computing. Bio: Marc Snir is Director of the Mathematics and Computer Science Division at the Argonne National Laboratory and Michael Faiman and Saburo Muroga Professor in the Department of Computer Science at the University of Illinois at Urbana-Champaign. Marc received a Ph.D. in Mathematics from the Hebrew University of Jerusalem in 1979. He was head of the Computer Science Department at Illinois from 2001 to 2007. Until 2001 he was a senior manager at the IBM T. J. Watson Research Center where he led the Scalable Parallel Systems research group that was responsible for major contributions to the IBM SP scalable parallel system and to the IBM Blue Gene system. 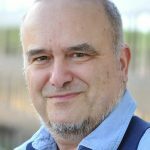 Marc is Argonne Distinguished Fellow, AAAS Fellow, ACM Fellow and IEEE Fellow. He has Erdos number 2 and is a mathematical descendant of Jacques Salomon Hadamard. 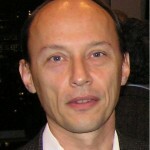 He recently won the IEEE Award for Excellence in Scalable Computing and the IEEE Seymour Cray Computer Engineering Award. Abstract: The biomedical research enterprise is becoming increasingly digital. Advances in information technology enable researchers to generate, analyze and interpret progressively larger and more complex datasets. The large volumes of digital data that are now available, and continue to be generated, pose significant challenges and opportunities. The challenges are not only computational – rich, diverse data types provide opportunities to answer new questions, to use new study designs, and (sometimes) to be misled in new ways. Prof. Abecasis will describe some of the challenges and opportunities that arise from the analysis of large challenging datasets describing genetic variation across thousands of individuals or information on disease progression in millions of end-stage renal disease patients. The surplus of data and the many questions it can answer about human biology promise many new discoveries over the years to come. Bio: Gonçalo Abecasis, D.Phil., is Felix E. Moore Collegiate Professor and Chair of the Biostatistics Department in the School of Public Health. Dr. Abecasis’ research focuses on the development of statistical tools for the identification and study of the relationship between genetic variation and human disease. Software and study designs developed by Dr. Abecasis at the University of Michigan are used in gene-mapping projects around the world. He and his group have made important contributions to our understanding of patterns of genetic variation and of their relationship to a variety of traits, ranging from age-related macular degeneration to cardiovascular disease. He is currently analysis co-chair of the 1000 Genomes Project, an international project that is using next-generation sequencing technologies to study the genomes of thousands of individuals and to support disease gene finding efforts across the world. Professor Abecasis has been named by Thomson Reuters as one of the world’s 10 hottest researchers, based on the number of citations to his work, in 2009, 2011 and 2012. 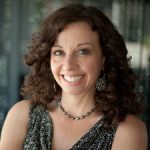 Bio: Sharon Glotzer is the Stuart W. Churchill Collegiate Professor of Chemical Engineering and Professor of Material Science & Engineering, Macromolecular Science and Engineering, and Physics. After obtaining a PhD in Physics from Boston University, she worked at the National Institute of Standards and Technology in Washington D.C. before coming to U-M. She manages The Glotzer Group, a research laboratory on campus that studies nanoparticles and molecular self-assembly. Abstract: Collective Intelligence, the capability of the group to outperform its average or best member depends on able and diverse members. In predictive contexts, there exist two classes of explanations — one based on the Law of Large Numbers and another based on an Fourier type logic. The distinction is not mere semantics. The choice of explanation influences both who should be in the group and how to weight their opinions. Bio: Scott Page is the Leonid Hurwicz Collegiate Professor of Complex Systems and Political Science, professor of Economics, and Director of the Center for the Study of Complex Systems, U-M.
Abstract: During the last few decades, new algorithms have brought large-scale physical and biophysical modeling within practical reach. The fast multipole method, for example, permits the rapid evaluation of all pairwise interactions in systems of charged particles. If N denotes the number of particles in the system, the cost grows linearly with N rather than quadratically, with million-fold speedups obtained in systems with one billion charges. This is critical, for example, in simulations of electromagnetic phenomena, acoustics, and elasticity. 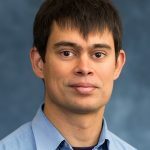 Greengard will give an overview of these methods and their applications, including a discussion of recent developments in fast solvers and some current opportunities at the intersection of computer science, applied mathematics, and scientific modeling. Bio: Leslie Greengard received his Ph.D. degree in Computer Science and his M.D. degree from Yale University in 1987, after completing his B.A. degree in Mathematics at Wesleyan University in 1979. He has been faculty member at the Courant Institute of New York University since 1989, where he was Director from 2006-20011. He is currently the Director of the Simons Center for Data Analysis at the Simons Foundation, while continuing to serve part-time on the Courant Institute faculty. Greengard and collaborators developed the fast multipole method, the fast Gauss transform, and high order accurate methods for a variety of wave propagation problems. He is a member of the National Academy of Sciences and the National Academy of Engineering.